Cummins Fallers Myotonic/Fainting Goat farm is located in the beautiful hills of middle Tennessee, very near to the Cummins Falls State Park. We began raising brush goats in spring of 2016. After one breeding cycle, we were hooked, so we decided to specialize in Myotonic goats in Spring 2017. We have acquired 7 does and 1 buck. 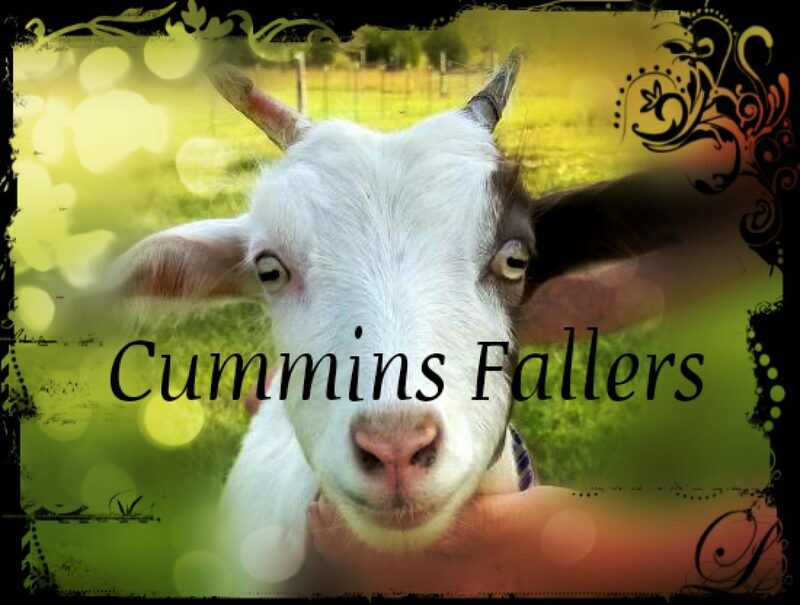 One of our does (Esther) and our buck (Denver) are Cashmere fainting goats. They shed beautifully crimped cashmere fleece in the early spring, that can be harvested for use or sold. Our goats are registered with the Myotonic Goat Registry and the International Fainting Goat Association. Our entire herd was tested for SRLV/CAE, CL and Johne’s disease in July 2018. We are happy to report that all of our goats are clean and healthy!